Despite getting a favourable victory, there is a feel that a repeat of last season can't be discounted out. In the end, that nervous feeling never really left, despite the valuable 1-0 victory. One of the main reason was the unconvincing nature of the result. In a nutshell, we did achieve our goal for securing a valuable away win and a valuable away goal. But at the same time, it left that feeling that Manchester United is very much in the tie! Maybe we are harsh on the team, discounting the magnitude of the task in hand! This was Barcelona's first victory against Manchester United at the Old Trafford in Europe. Comparing to the Lyon visit, we should feel ourselves to be in a better position when we face 'Red Devis' again in a week's time. After Falling down twice at this stage, Barcelona will be looking to script a new Champter in Europe when they face Manchester United at Old Trafford tomorro night. At the start of the season, Lionel Messi made it clear what is the priority of Barcelona this season. And without any surprise, it was the UEFA Champions League. 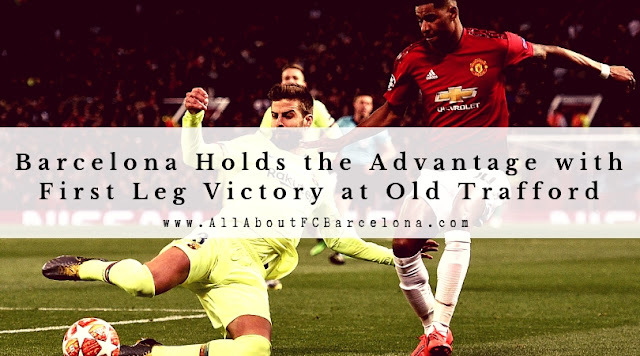 After falling twice at the Quarter-Final stages, Barcelona could not afford to take one more failure in the competition. Especially, when their arch-rivals won it thrice in a row! The disappointing nature of last season's exit is still hurting the majority of the fans and players out there. When we lost to Juventus, it was somewhat understandable; as we suffered at the hands of a very organized team. But against Roma, it was all down to an uninspiring coach, demotivated team and total complacency all across. 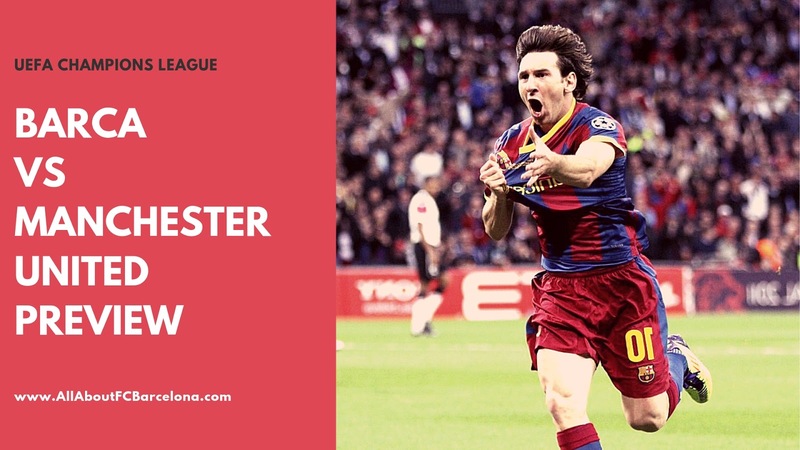 All the attention now shifts to Manchester where Barcelona will face Manchester United in the Quarter Finals of Champions League 2018-19. 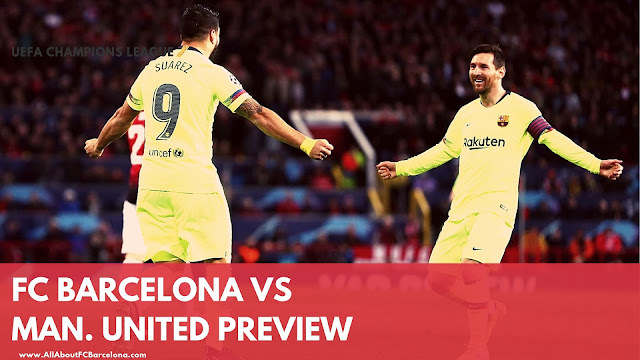 UEFA Champions League was Barcelona's primary focus and the first leg away from home will be really crucial. 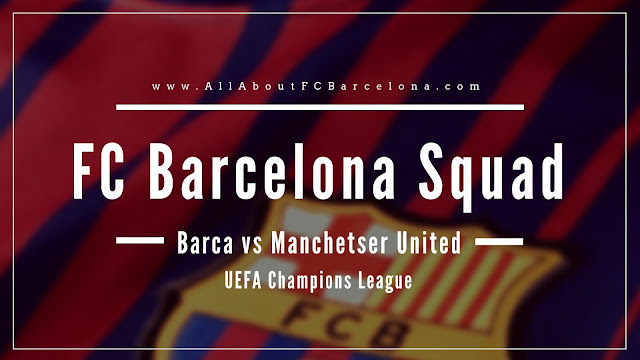 Barcelona Club has announced the list of players who would make the squad to travel to Manchester.